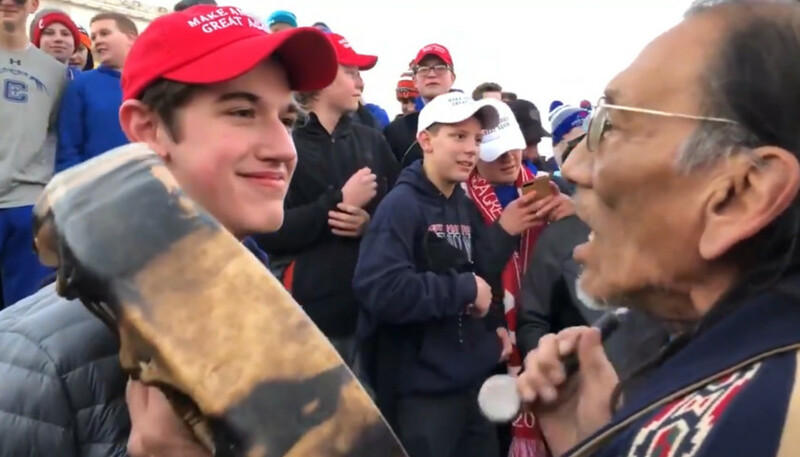 Yarmuth’s proposal comes after a video of Covington Catholic High School boys were seen chanting as American Indian Nathan Phillips was banging a drum. The kids were wearing MAGA hats. Image “Native American Drumming” by Jim Hanson. The good citizens should step in here now and demand the resignation of Yarmuth. There is no excuse for a Congressman, from your state at that, to jump on that bandwagon of completely false information and then advocate the violation of those kids 1st Amendment rights. Unacceptable. Nathan Phillips, let’s talk about what Phillips claims he is, as compared to what he really is. Phillips claims that he is a two tour Vietnam Marine Corps Recon Ranger. There are numerous problems with this. Phillips is 1 year, 1 mo. older than I am. I graduated from High School at the age of 18 years old and went into the USMC 1 month after graduating in July 1973. DO THE MATH. A tour of duty at that time was 13 months, meaning Phillips would’ve been in Vietnam for 26 months. That means by the time he went through boot camp, schools battalion in the Corps, he would’ve had to been 15 years old, at best. Now, take in consideration that the Marine Corps removed all Combat forces from Vietnam in June 1971 and you can see that Phillips is NOT telling the truth. Furthermore, the Corps has no such unit as Recon Rangers. Their Special Forces unit is Force Recon. Meaning what? Very simple folks, Not only has Phillips LIED about his Vietnam service, a Marine that mixes his branch of the services Special Forces unit’s name with one of the other Branches names, Army Rangers, tells me he was NEVER EVEN IN THE MARINE CORPS. But yet Congressman Yarmuth and the likes want us all to believe these kids cant’ be trusted with the truth. WHAT’S WRONG WITH THIS STORY?